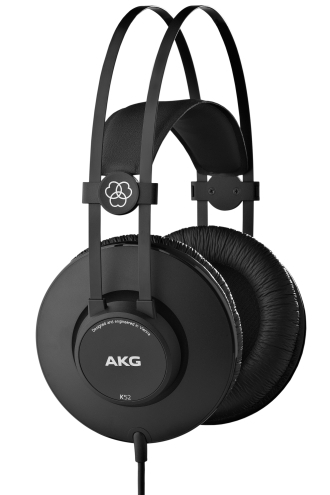 Your music rocks - make sure you hear every detail with the AKG K52 over-ear, closed back headphones. Professional-grade 40mm drivers reveal even the subtlest nuances, so you can be confident your mix will translate accurately on any system. Whether you’re monitoring vocals or tracking a bass line, the self-adjusting headband and lightweight design will provide hours of comfort. Designed by the company whose mics and headphones have helped create some of the world’s most iconic recordings, the durable K52 headphones deliver great sound wherever your music takes you.